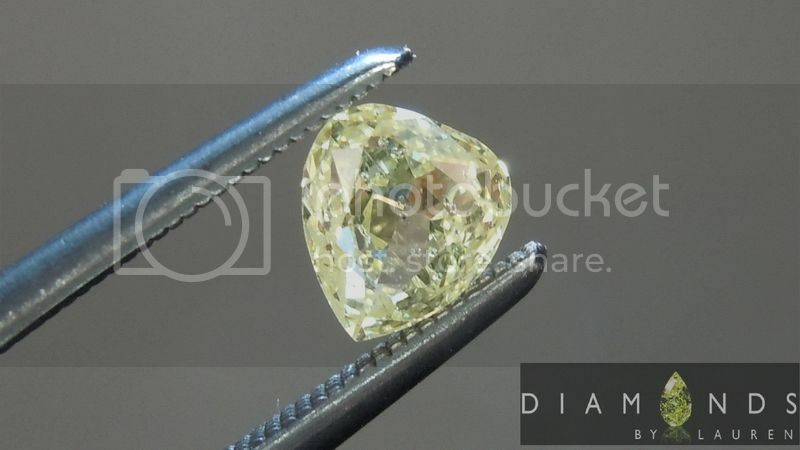 We came across a parcel of really "funky" fancy shaped Fancy Yellow and Intense Yellow diamonds- at a great price. Just so happened this pair of pear shapes were in there. They don't match exactly, but you'd never know it know that they re set. Why am I calling them "funky'? These guys are not your run of the mill pear shapes - they border on rose cuts - although they are not. In terms of shape- they're all kinds of "pudgy". All the right junk in all the right places (ha ha). 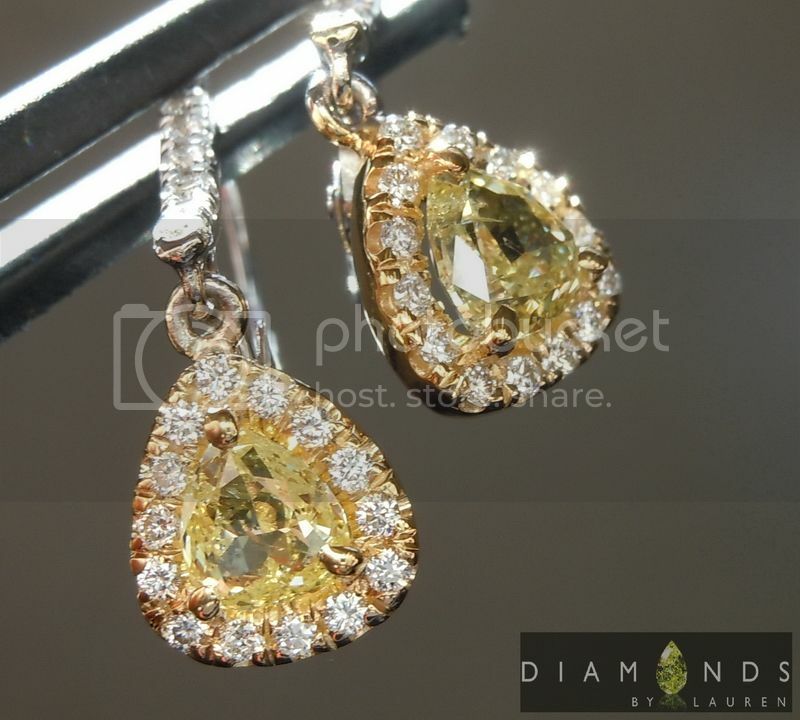 They are both I1 clarity, but good I1, Nothing that stands out to the eye, and nothing that diminishes the beauty of the diamonds. Speaking of beauty, in these earrings the funkiness is what makes them so remarkable. Due to the really "funky cut" they glitter like crazy. Like chandeliers for your ears. The color is totally visible - they are quite strong. 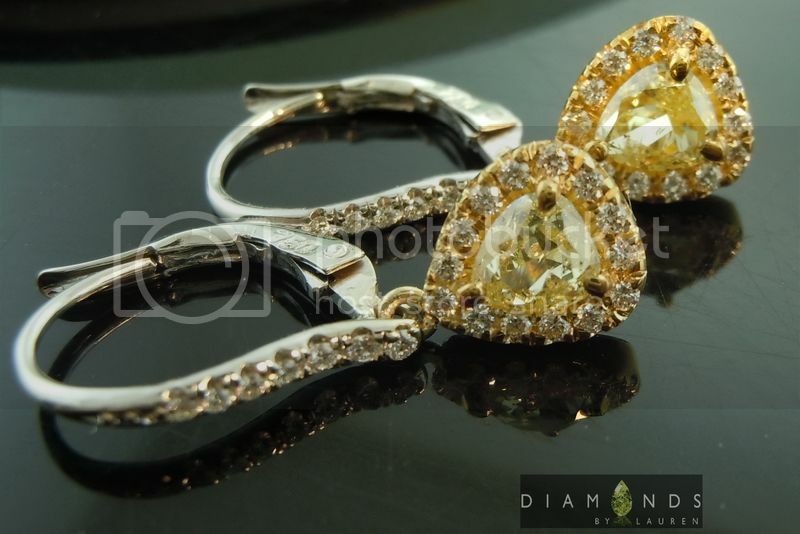 I called them Fancy Yellow, but they might have gotten Fancy Intense from GIA, it we had sent them. We did not due to the two month waiting period, in addition to the $300 it would add to the price. 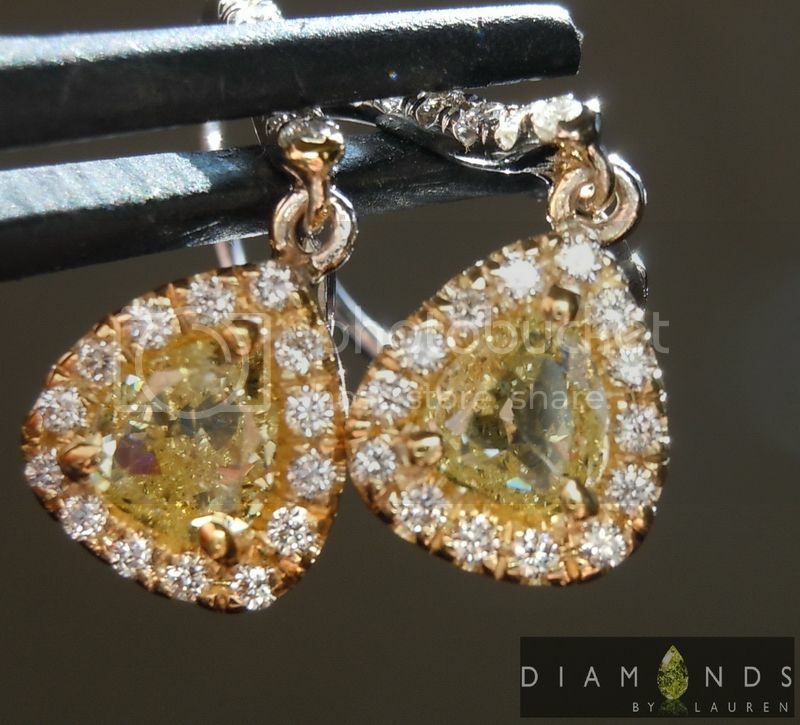 We did however make a rocking pair of earrings for these gems 18kt yellow gold halos set with white pave diamonds. These delicately dangle form a pair of actually very secure dangle mechanisms. Really charming pair of earring - and quite versatile. Perfect for everyday, or your wedding.